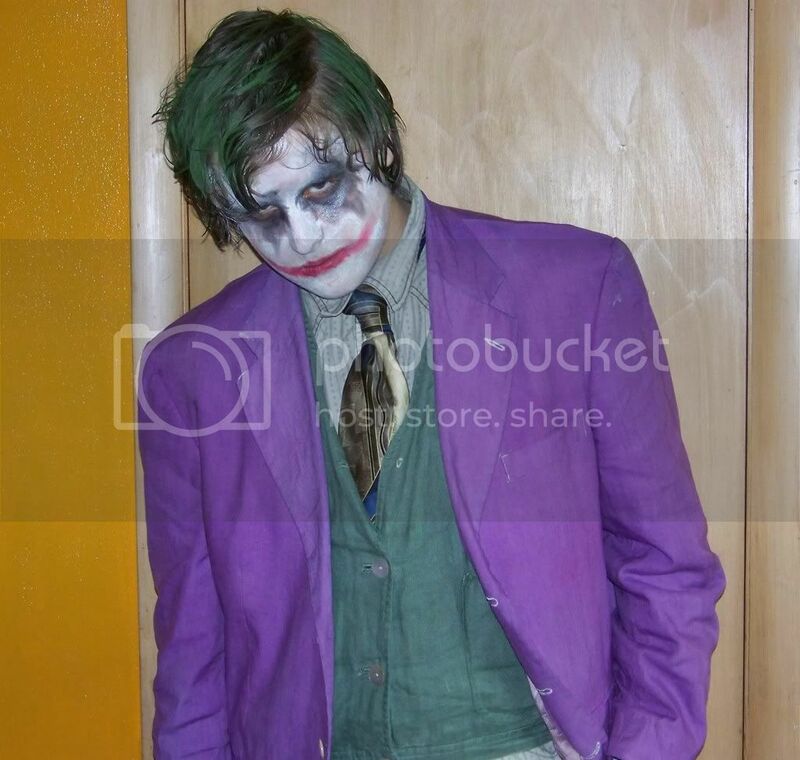 hey guys, i went to see the dark knight opening day and i went in costume, i thought maybe you guys would wanna see how i did. keep in mind i did the make-up IN the theater parking lot...so its not the best. and i am going on vacation, so any questions wont be answered for about a week or so. hope you like it. *the clown mask is the one from the bank heist scene at the beginning. Great job Reg! It looks awesome! sweet...how awesome was that movie, huh? wow. i got 2 comments in like 5 minutes....sweet. Cool Beans! Scaring the norms eh? Sounds like when I had ppl asking to take my picture with them at the Indy premier. Looks like i AM a freak just like you! Great job regimas, both costume and make up. The make-up is really good. All you need is a few scars. yeah i had a darth costume i made for rots too. All you need to do is "put a smile on that face." They're probably for sale EVERYWHERE now, but you made this Before the movie. So tell us...........just how hard Was it to find a purple jacket? That costume is freaking sweet Regimas! Awesome costume! It looklikes just like a real joker. Oh wow. That is so cool! You did a good job regimas. Looks like so much fun. 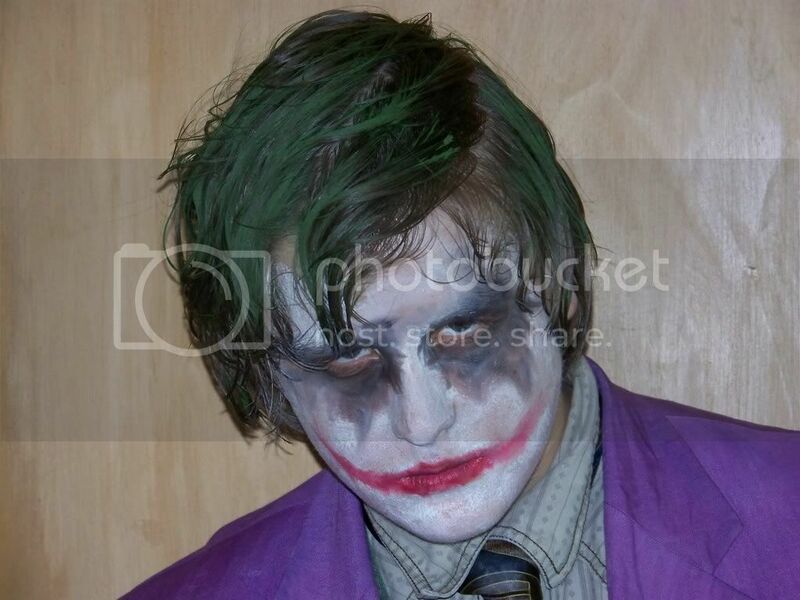 so uh..... Why so serious? lol, my smile doesent look right.